What a great week! I'd like to thank everyone who takes the time to read my blog! Each time I see a new follower my heart does a little dance, and I tell my husband! So thank you, sincerely, to each and every one of you! Now onto the Saturday Sevens, seven blog posts I've stumbled across this week that I think are extra special. 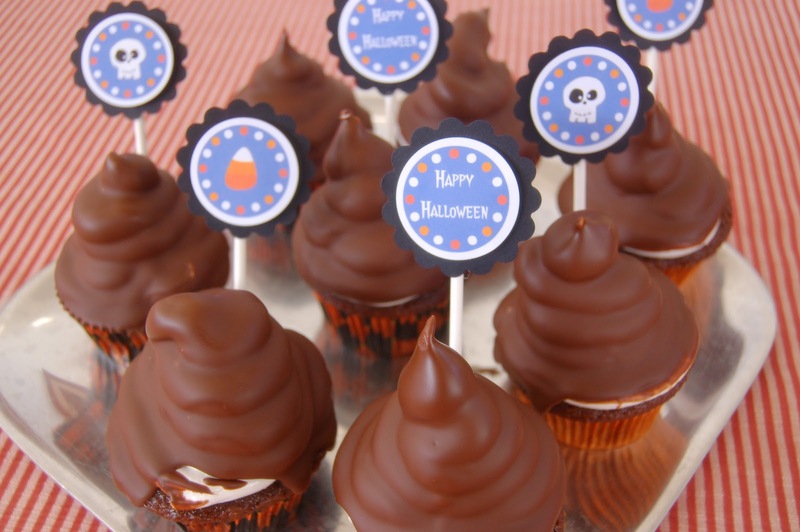 Take a look at the height and sheer deliciousness of these cupcakes. Don't you want one? She says they can be challenging to make, but I'm thinking that they might just be worth it! We had steak chimichurri as one of the dishes at our wedding. Yum... it was possibly the biggest hit that day. So when I saw this recipe this week, I knew I had to share it with you. Besides, their pictures are fab! Yum Yum Yum. I love all of the flavors that Michele has used here! Definitely one of my favorite dishes from this week! Just looking at the title of this you can see all of the amazing flavors that combine in Debbi's dish! Love the look of the quesadillas and the savory tastes and textures. 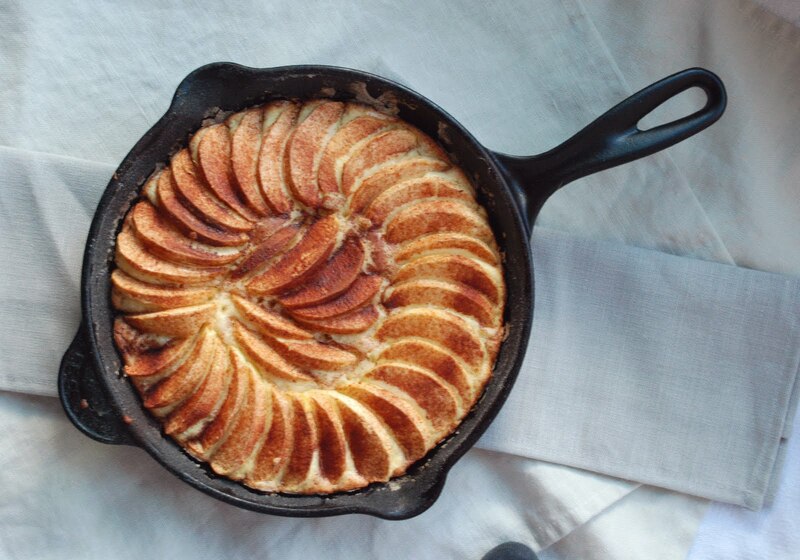 I love the beauty of this cake while it's in the skillet, as well as it's simplicity. There were lots of apple recipes floating around this week and I love the flavors in this aromatic cake. It's fall, and Halloween is just around the corner, which means that the blogiverse is alive with both fall and Halloween recipes. 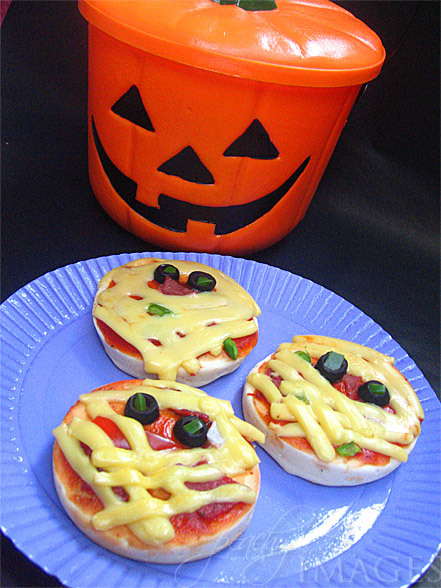 I love the creativity that Peach uses in these little pizzas, and of course, who doesn't love pizza? That's it for Saturday Sevens this week - Hope that these great posts pique your interest -- and your palate -- as they did mine. Have a great weekend! This post is linked to Saturday Stumbles. 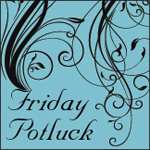 Butternut Squash Ravioli & Friday Potluck! Delicious Portabella Alfredo & Friday Potluck!! !